This review is of the Spudz Pro optics cleaner by Alpine Innovations. 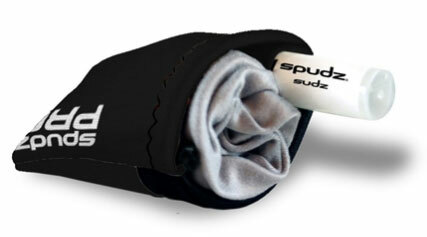 The Spudz Pro retails at around $11 dollars and is a convenient little cleaning system that can attach to pretty much anything via the handy little clip. 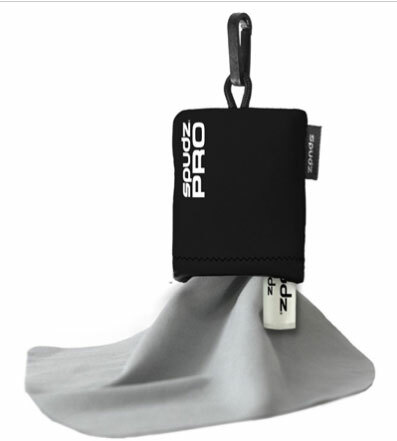 The Spudz Pro is about the size of a credit card and contains a safe, scratch free microfiber cloth and a small spray bottle of streak free cleaner. This product is made in the USA so its good for our economy as well. On the ride home after picking up the Spudz Pro, my daughter decided to play with my glasses. After a couple of minutes, I had a hundred little finger prints over both of my lenses. At that point I realized this product would get some immediate use. I pulled out the spray bottle, gave a spray or two and wiped them clean. It worked as advertised… clean glasses! A few days later, I was shooting my bow in my backyard. I was having a hard time seeing through my binoculars, because honestly I have not cleaned my binoculars since I bought them. As I reached for my shirt to clean off the lenses of my binoculars, I thought to myself, “Hey ya dummy, go get the Spudz Pro!” With a couple of sprays from the Spudz Pro and a wipe with the microfiber cloth I had what seemed to be a brand new pair of binoculars. I could see the nock of my arrows with no problem now at 50 yards. After cleaning my binoculars, the gears in my head started turning and I clipped the Spudz Pro right to my binoculars. This is now my handy little cleaner’s new home. 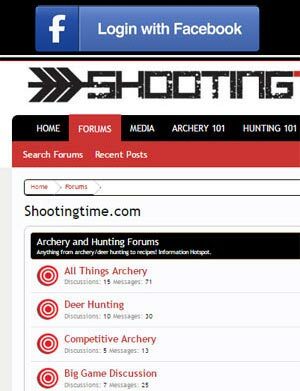 A few days later I had a 3d shoot and after about the 3d target I felt something fall and hit me in the feet. I looked down to see the Spudz Pro at my feet. I thought to myself as I was clipping it back onto my binocular’s strap, “How did it manage to do that?” I figured I didn’t have it fully clipped onto my binoculars strap so I reclipped it making sure it was on good. About 15 targets later, I felt a familiar bump on the top of my shoe. I looked down and saw the Spudz Pro again. At this point I am perplexed because I know I hooked it on all the way but yet it fell off again. I made a small adjustment and put it on the other side of the binoculars. This fixed the problem for about two weeks. Since the clip was failing me time after time, I replaced it with a small zip tie and now my problem is solved. I think it would be a great idea if the manufacturers would sew on a loop that a binocular strap could slide through solving the problem of the not so reliable plastic clip. My overall experience was a great one. This thing works and works well when it comes to cleaning any kind of optics. The size and compact design is a winner. The plastic clip leaves a little to be desired though. 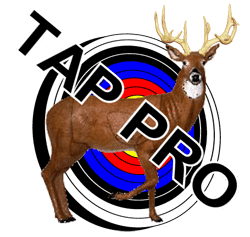 Overall I give the Spudz Pro an 8.5 of 10 points. For more information on this product, visit Alpine Innovations on the web. The product contains both cleaner and a wipe. Product cleans oils and dirt very well. Everything is contained in 1 easy to open pouch. Pouch keeps contents inside very well. The plastic clip that is supposed to keep pouch connected to you sometimes will unlatch.